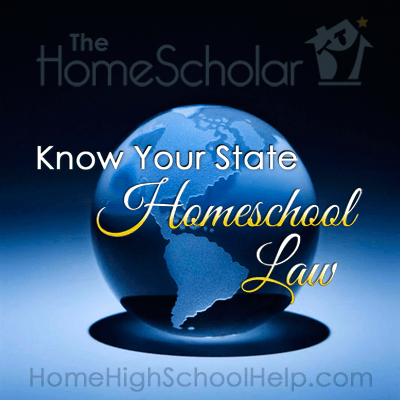 Homeschooling Within the Law: What you Don't Know Might Hurt You! Have you followed the news articles from other countries, where homeschoolers have been jailed or had their children taken away just because they homeschool? We are fortunate here in North America, because homeschooling is completely legal in the United States, Canada, and Mexico. Still, new homeschoolers can be confused by state law, or immobilized by fears of regulations. Beginners will ask “Where do I get the curriculum?” or “Where do I join Home School?” And yet there is no single curriculum, or a single “school” that homeschoolers must join. 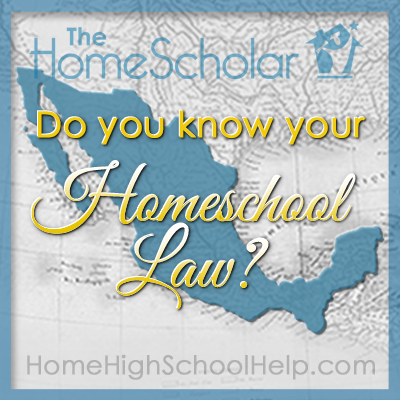 In order to begin homeschooling, you need to know the laws that apply, and then work to educate your children. 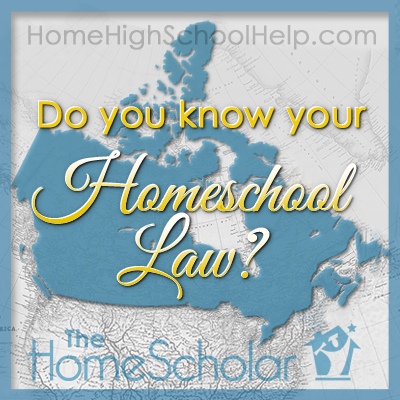 The first step in homeschooling is to check your local homeschool laws. State laws vary, but each state will allow parents to educate their children at home, in a way that will uniquely fit the family and the child. State law may provide general guidance or requirements, but it’s always the parent who can choose the particulars. We can choose the methods and curriculum to perfectly fit our children and situation. The second step of homeschooling is to recognize the limitation of laws. Many laws are written specifically for public school students. These laws do not apply to private schools or homeschools. Frequently, homeschoolers do not have to follow the law for public school children, any more than private school students must comply with laws meant for other organizations. We need to understand and comply with the law for homeschoolers. 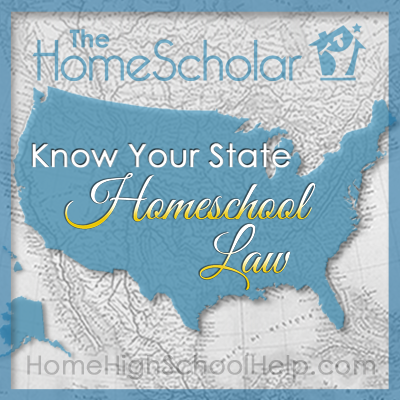 Look up your state, province, or territory's homeschool law, using the list below. As you are reading the law, remember what it does not say. Searching for the law that applies to “high school” may not give you the information you need. The public school law may be reported in the newspaper, but that doesn't mean it applies to you. And even though it may specify requirements for public school graduation, that doesn’t necessarily equate to a quality education. Always keep in mind when looking over laws and educational requirements for your area, that public high school requirements are not usually enough for college admission. Many homeschoolers exceed the expectation of public schools, because they are invested in the academic success of their children. The third step of homeschooling is to determine what works for your family. I encourage you to look toward college requirements, not high school requirements, to make sure you are prepared for anything. Along with checking out your local homeschool law, peruse websites of those universities your child is considering before they get to senior year, so you're not surprised by admission requirements! Find a curriculum that fits, and use whatever methods will help your child learn. Do what is best for your child, based on the knowledge you have gleaned. If you have made a sudden switch to homeschooling, recognize that it can take some time to find a good curriculum fit. In the meantime, visit a library and get some great books from a College Bound Reading List and have your child write a daily journal. Watch educational videos, like Ken Burn’s Civil War. That should give you enough time to research and order the appropriate homeschool curriculum for your family. I encourage you to follow your local homeschool law. This will allow maximum flexibility after high school. We have put together a handy dandy list of links for laws all across North America for you!